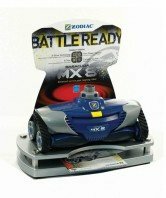 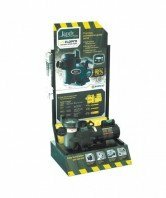 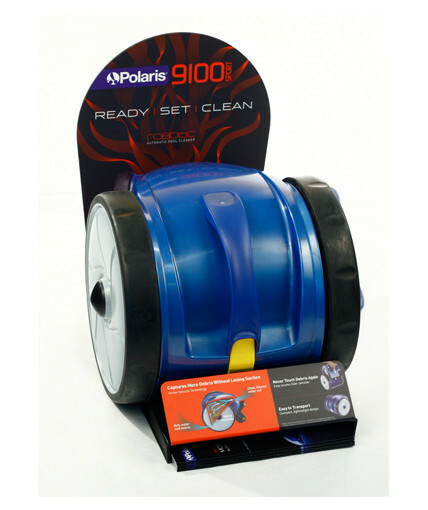 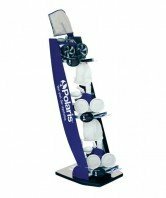 Floor display for Zodiac’s line of robotic pool cleaners. 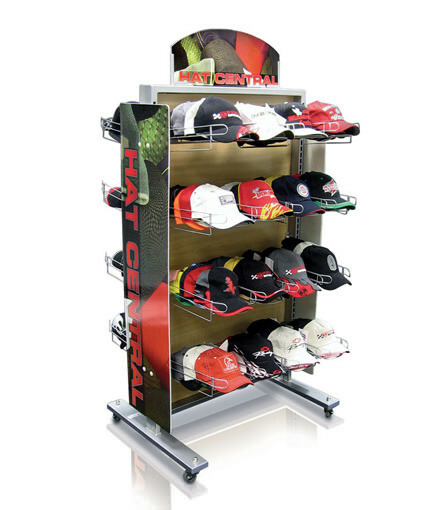 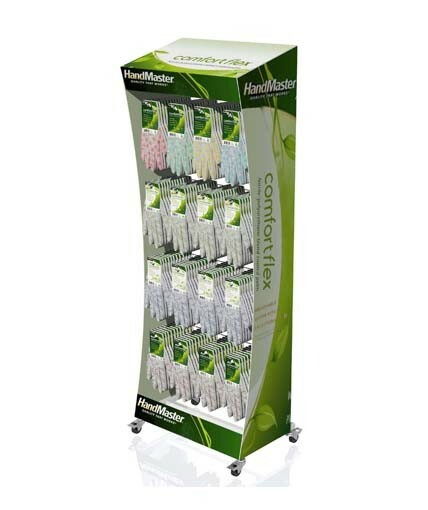 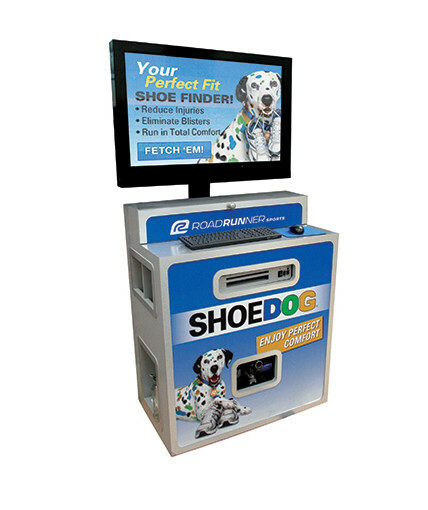 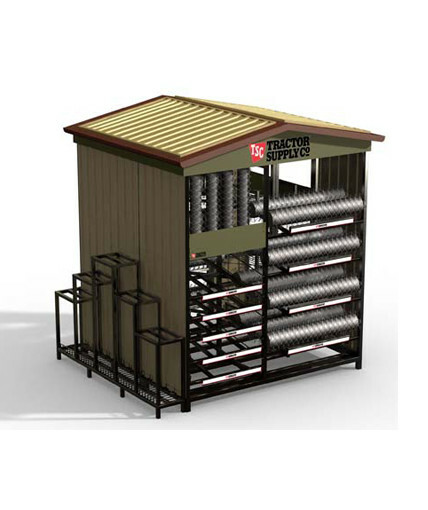 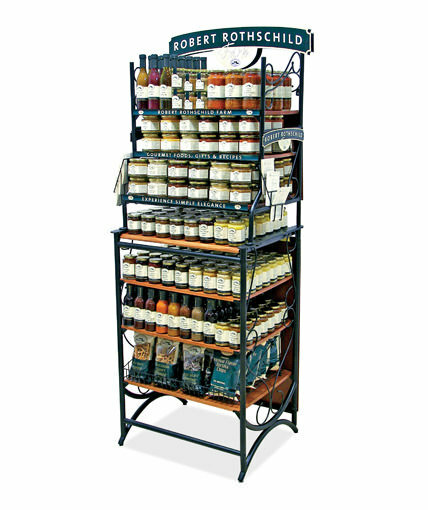 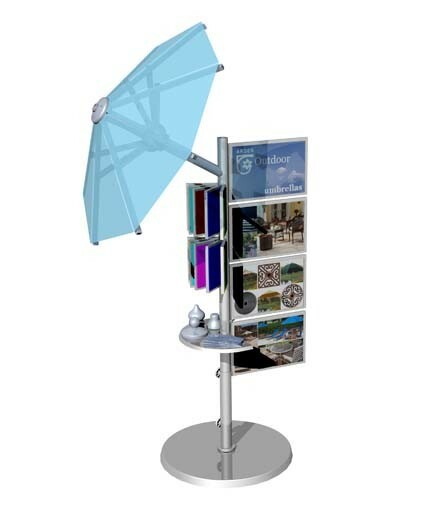 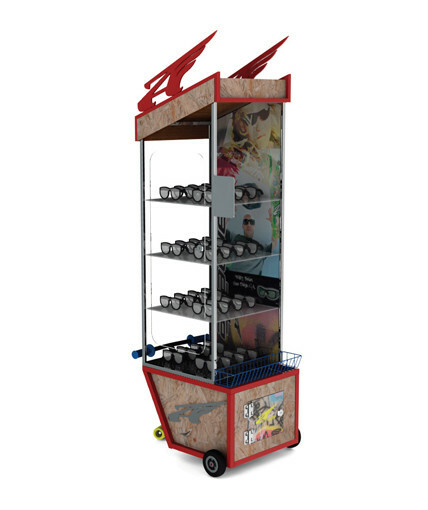 Features metal tube frame with sheet metal base and shelves, PVC panel backdrop, digital monitor, header and base graphics, product-specific call-out graphics, and side brochure holder. 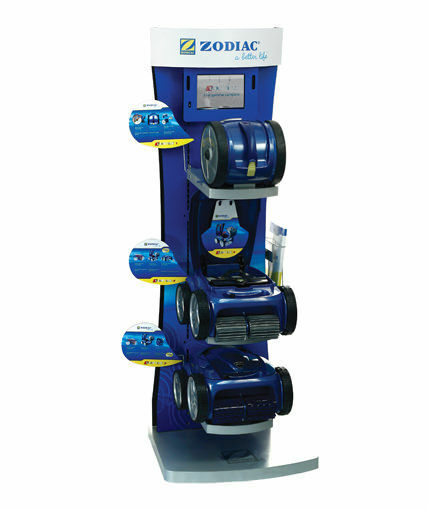 Category: Uncategorized Tags: Custom Retail Displays, point of purchase displays, pool systems displays Brand: Zodiac Pool Systems.